Las Vegas is one of the most popular tourist attractions in the world. People from all over trek to the city every year for wild nights of partying, gambling and shows. 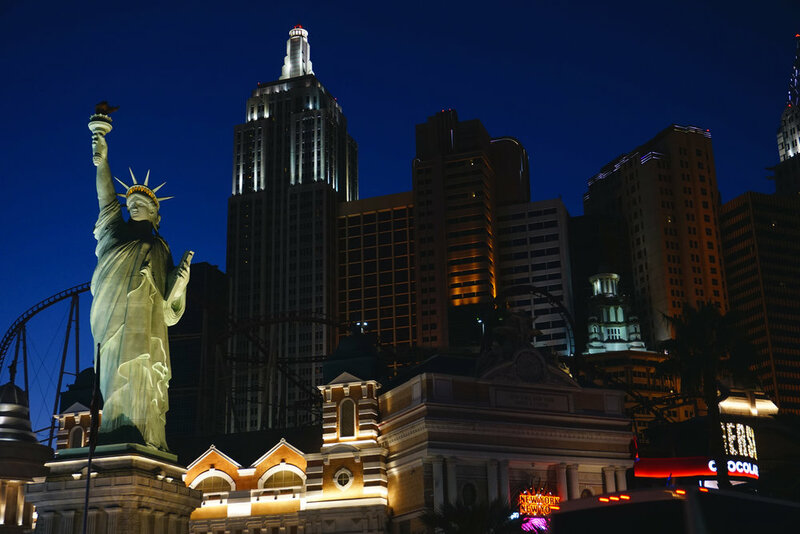 While everyone should catch a show or pig out a hotel buffet, they should also venture out and see what lies beyond the infamous Vegas Strip. Life/style blogger and Las Vegan Amanda Pamblanco gives us The TEN best things to do while in Sin City. 1. I love hanging out at this hotel/lounge: The Cosmopolitan Las Vegas has this ambience of affordable luxury. They turn their pool area into a concert venue, which is great because it has a view of The Strip. They also have dive-in movie nights where you can relax on the pool chairs and watch classic and new movies on their jumbo marquee. There is always something unique and different going on at the Cosmo. 2. For fun beyond the Vegas Strip, I go here: Red Rock Canyon Get a good workout by hiking numerous trails with breathtaking views of Vegas' desert landscape. Some trails have amazing views of The Strip! 3. A great breakfast spot to cure a hangover: Skinny Fats. Oh. My. God. Why did I have to discover this place!? It's so addicting! Their menu features a happy side and a healthy side for breakfast, lunch and dinner. With delicious entrees like Nice to Greek You and HappyMess, you'll be a frequent customer from the very first bite! Follow their Instagram for secret menu items! 4. There are tons of great bars in Vegas, but this, by far, is my fave: Commonwealth is a pre-Prohibition cocktail bar with a speakeasy. It has a great rooftop bar with a view of Downtown, Las Vegas. If you're looking for good music, handcrafted cocktails and good vibes, this is the bar to be at. 5. A cool local spot with great beer selections: Bad Beat Brewing. It's a microbrewery in Henderson, NV with locally, handcrafted beers. The Queen of Hearts Guava Wheat beer is so good! You can play Super Mario Brothers, Cards Against Humanity or just chill on beanbags. The owner sold his home to start Bad Beat; that shows his dedication to the brewery! 6. For a fun girls day out, I go here with my friends: Green Valley Ranch Spa has affordable, relaxing massages and spa treatments, perfect for a relaxing girls day out getting pampered! 7. For the best night of your life, head to this club: XS Nightclub inside the Wynn. It's an indoor & outdoor club, which is perfect for those blistering Vegas summers. There are nights where you can go in your bathing suit and swim in the pool! 8. This is a great date-night spot: The Lagoon at the Venetian Las Vegas lets you float down the Grand Canal in an authentic Venetian gondola. Your gondolier sings and glides you down under bridges and besides cafes giving you a taste of what Italy has to offer. 9. These are great boutiques/shops for fab shopping: Downtown Summerlin is a newly open-air mall that has on-trend shops and delicious restaurants! From Forever 21, Macy's, Nordstrom Rack, LUSH... I could shop here for hours! There are great restaurants like MTO Cafe, Ribs & Burgers, Earl of Sandwich and more! 10. To get an amazing view of the city, this is where I like to go: There is a small mountain on High Mesa and Horizon Ridge Parkway. It's a 10-15 minute hike to the top. It's so relaxing and peaceful to sit on the benches and just look over the whole city. Amanda Pamblanco is a life + style blogger based in Las Vegas, Nevada. 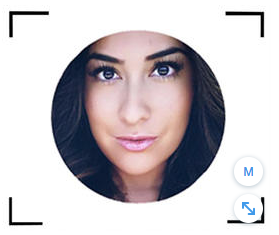 An educated consumer and fashion and beauty lover, she started her self-titled blog when friends and family continuously came to her for advice on the latest fashion and beauty trends and Las Vegas events. Amanda has a growing knowledge of the entertainment, marketing and public relations field. She has interned at multi-media company, WENDOH Media in their editorial, digital and marketing departments and is currently a marketing and digital intern at iHeartMedia Las Vegas. With a curious and ambitious spirit, Amanda continues to grow and hopes to inspire everyone in every aspect of their life.